The winter is beautiful in Ouray, Colorado with ice, snow, and the impressive scenery to enjoy as well. People go ice climbing, skiing, and enjoy all the winter activities there are to experience, then afterward they go to the hot springs to thaw out. Winter in Ouray is great. Besides the snow and hot springs, there is also skiing and snowshoeing. In fact, locals have created the Ouray Ice Park that’s owned by a nonprofit corporation and where ice climbing is free. Ice climbing is typically in the backcountry; however, the ice park that was built makes the sport of ice climbing easier to enjoy and a lot less dangerous. There are people that don’t enjoy ice climbing though. Some are just spectators of the Ice Park and enjoy the view from one of two bridges that are built into the rock walls. They might also enjoy the waterfalls that are near Box Canyon Falls and the impressive view as the water recedes from the ice and rock. Apart from all the activities to do in Ouray, there are beautiful buildings to see as well; like the Old Victorian that is the restored Beaumont Hotel. As for Ouray itself, it was named after Chief Ouray, a Ute Indian. Ouray has a Hot Springs pool that is divided into different sections and has temperatures from 60 to 106 degrees, for relaxing, diving, and swimming. It’s believed that these springs may also have healing properties. During the winter, these hot springs are full of visitors from all different places so if you want more privacy, you may wish to consider the Orvis Hot Springs instead. 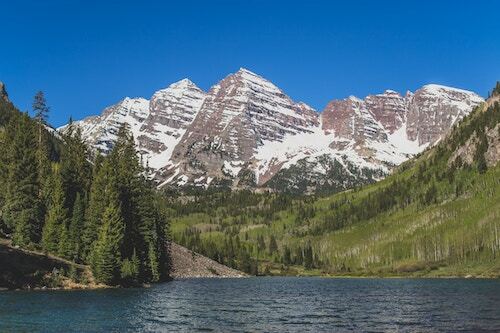 This update is provided by the Ouray vacation rentals of Alpenglow, located in Ouray, Colorado and presented by Twin Peaks Lodge and Hot Springs. We provide unique Ouray Colorado condos and townhouses located near some of the best restaurants, shops, and activities in the city. Call 877.662.4587 or 970.919.0380 for more information or to make your reservation.